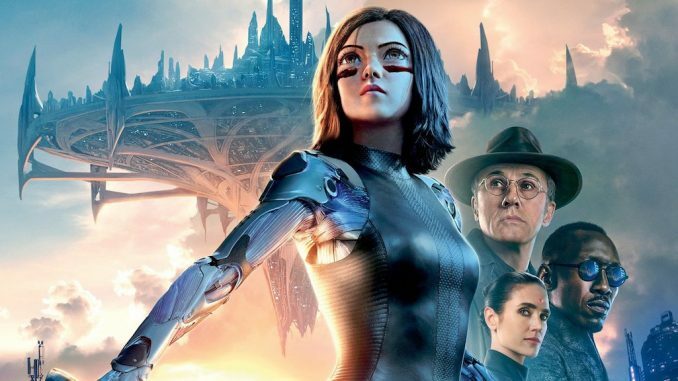 Starring Rosa Salazar, Christoph Waltz, Jennifer Connelly, Mahershala Ali, Ed Skrein, Jackie Earle Haley, Keean Johnson, Jorge Lendeborg Jr.
James Cameron’s pet project finally comes to fruition with Robert Rodriguez at the helm. Cameron has been talking about turning the Manga book into a film for years, and I guess he was too busy with making more Avatar movies that he couldn’t do it himself, so he hired gorilla filmmaker darling Rodriguez to finish it off. Don’t expect much of Rodriguez’s style in this one though, this is very much a James Cameron film. 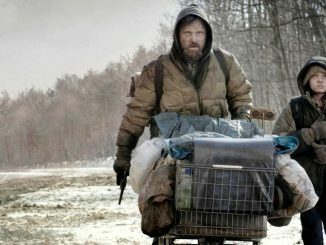 The film begins with Dr. Ido, played by Christoph Waltz, scouring a junkyard for parts, as he is, I guess, a robot doctor in this new depressing future. Here he finds pieces of a female android and brings her home and makes her anew. 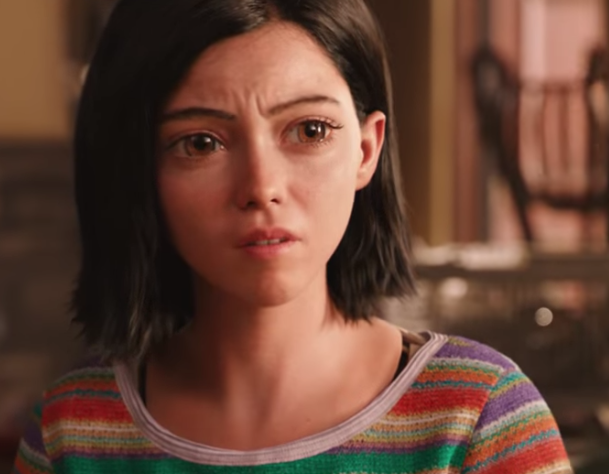 Here we have Alita, played in motion capture by Rosa Salazar. 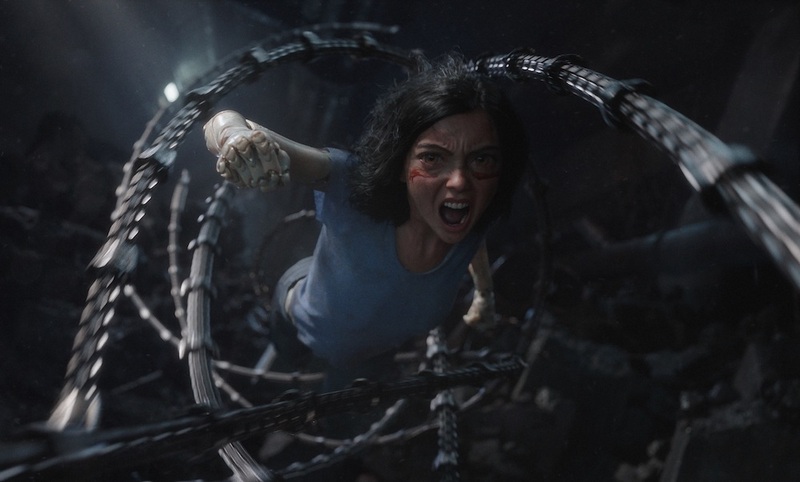 As been told many times before in other stories, obviously Alita has tech in her that everyone wants and it becomes a “bring me her head” kind of film, but in this case, it’s her heart that they want. The world built is pretty cool and the manga aspect is given much respect, it’s just the film doesn’t really work as a whole. It’s another case of WAY too much world to build in very little time, so a lot of things are rushed and other things are spent way too long on. You have a vast variety of side characters, played by remarkable actors like Jennifer Connelly, Mahershala Ali, Eiza Gonzalez, and Jackie Earle Haley. We also have Ed Skrein, and guess what everyone, he plays a bad guy. The poor guy always plays a bad guy. Just once, I’d like to see him play a father figure or something, switch it up a little bit Hollywood! At the end of it all, the VFX’s are stellar, thanks to Cameron’s hookups at WETA, and the film has some fun action. 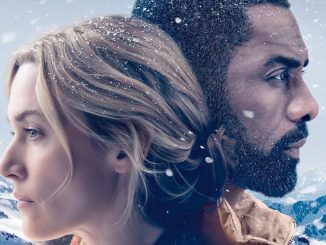 It’s just another situation where this story would have been better suited for a mini series of such, instead of a rushed film (even at 2 hours in length). 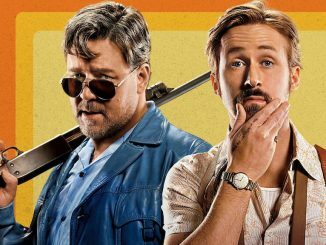 I went in with low expectations and honestly didn’t mind the film. Bring lots of popcorn and have some fun.